Reviewing the salaries of the employees by the companies were not practiced in the gone years, but now every company is heading towards conducting the pay reviews. The reviewing process enables companies to award its best performing employees or the staff, keeping them motivated, also it brings two people together. In order to conduct the pay review process, one has to go through various steps like reviewing employee performance, then their salaries and the external, internal conditions of the company and the market. Before heading towards any other step, start with the reviewing of your budget first. Decide how much amount of money needs to be set aside for the financial budget. Financial budget will depend upon the external factors like the pay scales, the pay levels currently ruling the market. Also include the internal factors like the company’s own financial position, market pay pressures and also its own policies. Determine all the internal, external and the financial budget of the company to start with conducting of pay review. Decide the objectives to help know the amount you are going to spend and review for the salary’s to be given to the employees. Also determine the scope and the time period for which it will last for the employees. It will also depend on the expectations of the employees. You need to tell employees regarding the objectives for pay review, the reasons behind and also the whole criteria so that the non deserving candidates do not expect more than what they deserve. Get some self evaluation forms. Ask your employees to fill those forms and you will get the surprises regarding the salary expectations of the employees. The self evaluation forms will help you know what unpleasant things happened last year and can be compared to the present. Also the employees who gave good performance will get to know the significant achievements they made, you might have forgotten, but they would have remembered it so that, it saves you from the embarrassment of not knowing the good work being done by the employees. Also, it will give you an idea if the employees deserve a higher salary or no as per their performance. Next is to review the job description of the employees. Reviewing the job description will help you know the shortcomings employees are having and what achievements they have made. Also, it will explain the responsibilities and the expected competencies for the employees. What expectations they have met and where they are falling short of it. Do not give surprises to the employees during the review time, if they are not capable of getting enhancement in the salary. Discuss with them before hand after all no one likes to hear the negative feedback and feel ambushed. Once the budget is set, the reviewing of the reward principles will be the next step and highly depend on the organizational goals, market position of the base pay scale and also the total amount of money to be spent. For Example Amritsar like the new comers or the new joiners will join while the leaving one’s will not join. The rating is to be done for the employees to inform them what will the amount of rise be there in the salary as per the rating. Some of the suggested ratings are as follows: unsatisfactory, below average, satisfactory, good ,excellent or exceptional. 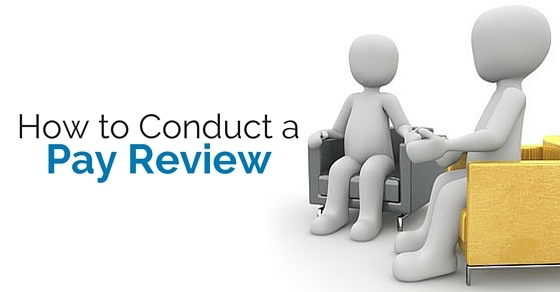 Define all the ratings to the employees so that no one goes unsatisfied with the result of the reviewing pay packages for the employees. Planning well will assist you in keeping all the employees happy and satisfied. The organization’s leaders must be clear so that no confusion is left out for anyone out there and no one is left unsatisfied and sad. The plan should be concrete and strong enough to be accepted and appreciated by the whole staff and should proceed in a very smooth manner. Even if the plan has no plans for increment of the salaries of the average performance employees, then make them explain that, so that they are not left disappointed. Before reaching out to the market for analysis, make sure you have gone through the internal data maintained by the company for instance the recent changes done in the pay scale for the promotions and other specific job changes. Selection of the reliable and relevant sources for the survey must be done. The data sources should be reviewed on a daily basis to ensure no mistake. Do not go to the free data sources as they are likely to be unreliable and many fraud cases also spun out of them. While the performances are reviewed, make sure various factors are kept in mind like employees working hours, accountability of employees, their education, competence, flexibility and ability to deal with other employees, the demands of the employees and also their extra efforts towards the work. By making the above factors as vital, determine the pay review and also make changes accordingly so as to make the system more clear and transparent to the whole staff and also to yourself. Makes the best use of the company to make himself and herself more competent and makes his or her job a constant opportunity to learn the management of risks in the company, understand the needs and values of the company. Evaluate the performance of the employees on the above factors. What ever is the plan should be communicated through the timetable. It is important for those companies who depend upon the performance of the employees while not so important for those who review the previous year’s and this year’s goal. Also determine the established pay principles into the timetable so that one is kept in darkness regarding the process and no one feels left out for the purpose. You should ensure the role of the line managers. Training them in how to determine the pay for the individuals on the basis of set principles. This will also include the pay packages as per the determined targets. The tools which are to be used to determine the performances should ensure the consistency. Although some of the surveys do not give line managers greater discretion over the reward decisions, maybe because they do not receive much of the training. The HR and the other reward practitioners need to help manage the company’s internal pay process by keeping in consideration the external competitiveness and the market conditions. Make use of the reports to show the distribution of the pay across the employees of the organization. Going through the pay award once will ensure the proper use of the external and internal sources and tools used to review the pay package. Also make sure you pay attention to the employee communications through the whole process and also agree with the messages that are communicated through the grapevine network. Also make sure the process is transparent and clear to the employees so that no embezzlement is done throughout the process. When the employees are not informed regarding the pay review process, may be the result ends up adversely affecting the performance and the motivation level of the employees. Make sure the line managers are able to explain the process and the reasons behind why the pay review process is being carried out this time. After the process is completed, inform the employees either through the mail or any other form of communication that their pay has been increased and the new salary will be given from the specific date with specific changes. Also review the whole process so that it can be improved the very next time. The employees must be known in detail about the whole process so that no one is left unattended, even if any of the employees are not satisfied, make the system so crystal clear that everything goes smoothly and no flaws are left and everyone goes satisfied. Here are some of the tips that one must keep in mind while conducting such a vital process. This is the process which ensures the safety of the employees along with preventing the exodus of experienced and deserved employees. 1. The whole process should be planned well and documented in a proper format from beginning to the end. 2. Make sure all the managers you hire or decide for making the process complete are well trained and know the process of conducting the review. Keep to yourself the documents that are used to make a fair judgement and provide the employees required result. 3. Get back the feedback to make sure the decisions made were objective and not biased. Set some benchmark criteria so that all the employees are treated in a proper and fair manner. Also make sure the benchmarks are understood by the managers well without any difficulty. 4. The rating system you adopt must be fair and free from any prejudice and also easy for the employees to understand. Every rating must explain in detail what every ratings demand and tell the employees what and how much to expect. 5. Last but not the least, ensure the pay is reviewed in line and the deserving one gets what he or she deserves while the non deserving gets the amount he deserves. The feedback must be taken as it will judge the effectiveness of the process and also will tell whether the employees liked the way the whole process was conducted or no, what changes must be brought further in the process and what should not be done. So, above are some of the points by which the salaries of the employees are reviewed by the companies. The companies review the salaries on an annual basis so that the performance of the employees gets better and they get motivation for doing the work in a much better manner. The key points that must be kept in mind while evaluating the process of salary reviewing are, the knowing and judging the performance of the employees and also to check where exactly the particular employee fits when it comes to the external job environment. It also makes them efficient, as ultimately it is a motive booster and works as a pump that motivates employees to work harder and to perfection. Next articleHow to Avoid or Overcome or Quit Video Games Addiction?